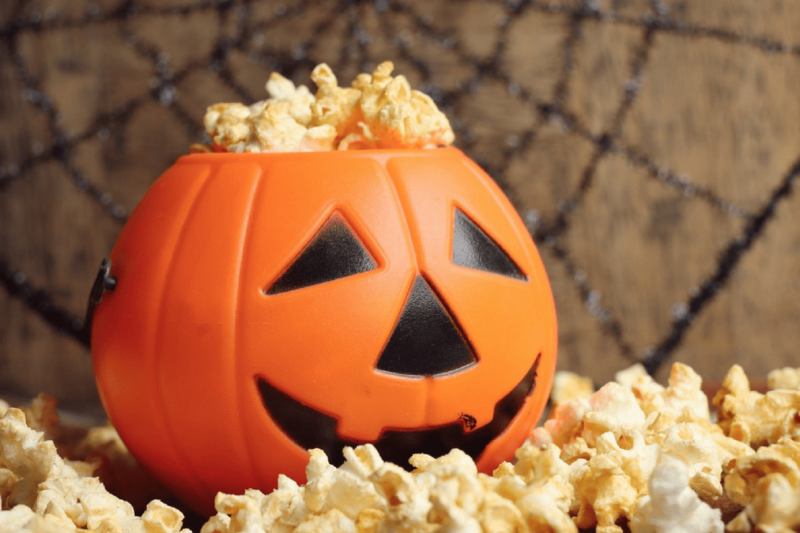 If you’re looking for the best Halloween movies for kids, look no further than this list of family friendly flicks. This is the ultimate way to scare up some fun this Halloween! All movies are rated PG or under! 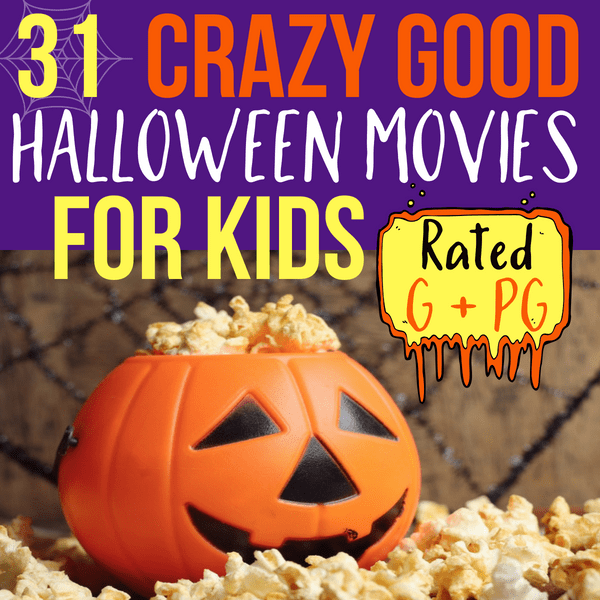 Below you’ll find 31 spooktacular family friendly Halloween movies you can enjoy all month long. From classics to modern day greats you’re sure to have a frightfully fun time. Get the popcorn ready and watch a different movie every night in October. What a great way to spend some quality time with the family! 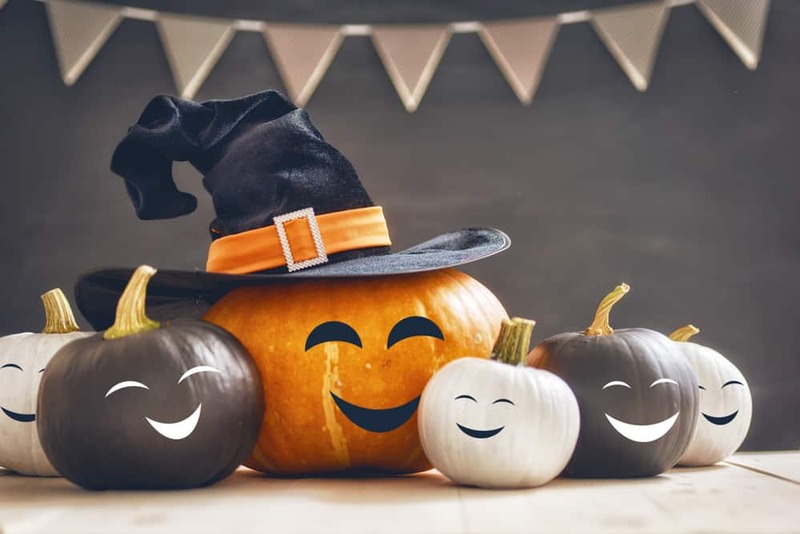 Wishing you all a Happy Halloween! Enjoy as Jack Skellington decides to push Halloween aside, for Christmas. When you move to Salem, try not to unleash the witches. This house just might be…..alive! Young Victor Frankenstein gives his pooch a jolt! A timeless Halloween classic for the family! Don’t say his name three times, you’ll be sorry. The beloved books come to life, literally! Toxic waste turns ordinary spiders into something so much more. Everyone’s favorite idiot awakens an ancient beast! Pooh and the gang try to trap the dreaded heffalump. A high school kid finds out he’s a werewolf in this howlingly good flick! A group of witches unleash a plan to turn all children into mice! Eddie Murphy stars in the big screen adaptation of the beloved Disneyland ride. The Olsen twins try to save their family from an evil aunt, do they succeed? A young girl finds a secret world after moving into her new home, will she get stuck there forever? A boy has a talent for speaking….to the undead! When aliens invade, it’s monsters to the rescue! Gizmo makes the cutest pet, just make sure you don’t feed him after midnight! Two twins must save their kingdom from the forces of darkness. Don’t book a room at this hotel, it’s run by Dracula! Halloween tales featuring the beloved characters from Shrek. The classic comedy duo run into Frankenstein and a few other monsters too! Pooh and the gang are ready for halloween , but Piglet is too scared to join in. A boy becomes friends with the boogeyman! A teenager tries to save his town from a unique life form in this classic. A group of kids go on a quest to find a pirate’s treasure! A family moves into a new home, but Mr. Boogedy refuses to move out. Look out for the headless horseman.